Our news office in New Berlin WI was just north of one of Milwaukee's Mitchell Field's major flight paths for incoming aircraft.Even though we were 20 miles from the airport, we could stand in our parking lot to hear and see every model and type of aircraft descending for a landing. 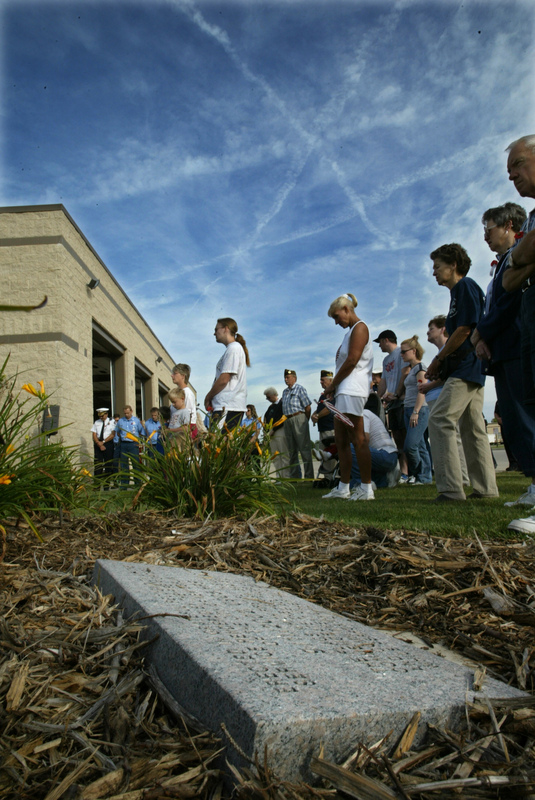 Late in the in the afternoon of 9/11, I stood in that parking lot and gazed at clear blue skies silent and devoid of any aircraft. 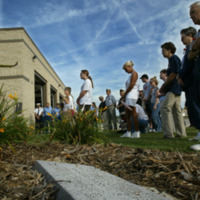 On Sept. 9, 2004, the New Berlin Fire Department dedicated a 9/11 memorial at Station 1 to the firefighters and officers who gave their lives at New York's World Trade Center. As the ceremony progressed, four different jet aircraft passed overhead, their contrails crossing in the heavens. C.T. Kruger, “[Untitled],” September 11 Digital Archive, accessed April 19, 2019, http://911digitalarchive.org/items/show/96791.